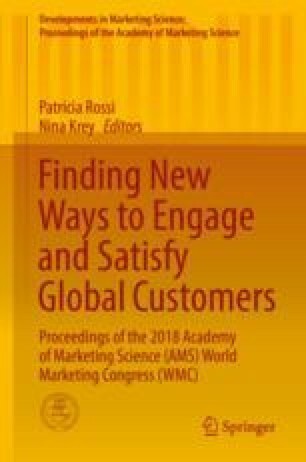 The question of how to design service environments to attract customers and to sell products has been of long interest to managers and scholars alike (Bitner 1992). This interest spilled over to virtual servicescapes when technological advances facilitated designing carefully staged sets of physical cues in online environments (Mummalaneni 2005; Vilnai-Yavetz and Rafaeli 2006). Research on consumer processing of virtual environmental cues supports the view that visitors form attitudes and intentions through both central and peripheral routes (Liu and Shrum 2009). Nonetheless, only a few studies exist that adopt a dual-process perspective in virtual service environments (e.g., Kim and Lennon 2008; Kim and Moon 2009; Ponnam and Sreejesh 2017; Sierra and Hyman 2011). While empirical studies on virtual servicescapes substantiate the peripheral path via aesthetics and pleasure (e.g., Vilani-Yavetz and Rafaeli 2006; Wang et al. 2011), parallel studies also substantiate the central path via telepresence (e.g., Eroglu et al. 2001; Mollen and Wilson 2010; Novak et al. 2000) and interactivity (Spielmann and Mantonakis 2018). Building on the theoretical framework of the elaboration likelihood model (ELM) of persuasion (Petty and Cacioppo 1986), we propose and test the notion that people react to informational variables present in a virtual reality servicescape in divergent ways. Specifically, we propose a dual-process model of effects in which components of the online environment (coherence, complexity, legibility, and mystery, as per Kaplan (1989)) work in distinct ways with consumers. The findings extend understanding relative to the effects of visual interior design on consumer response to service environments. Our findings should aid service managers in designing more effective virtual servicescapes that support their efforts to sell and to attract customers. In summary, this study provides insights into how four types of visual information present in virtual service environments influence consumer response.